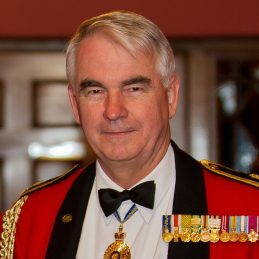 Since departing the Army, Ken has served on numerous boards and conducted reviews for the NSW Government. In March 2017, the General was appointed by the NSW Premier to the position of Regional Infrastructure Coordinator and will be responsible for advising the government on the delivery of regional infrastructure projects. Lieutenant General Gillespie enjoys the opportunity to share his insights and knowledge in a broad corporate environment. He is a gifted public speaker and is able to pitch his messages at many different levels of management. From apprentice brickie to Lieutenant General is a wonderful achievement and testament to this man’s motivation and will to succeed. Lieutenant General Gillespie’s leadership is inspiring yet he still maintains the common touch…the brickie is still in his makeup!